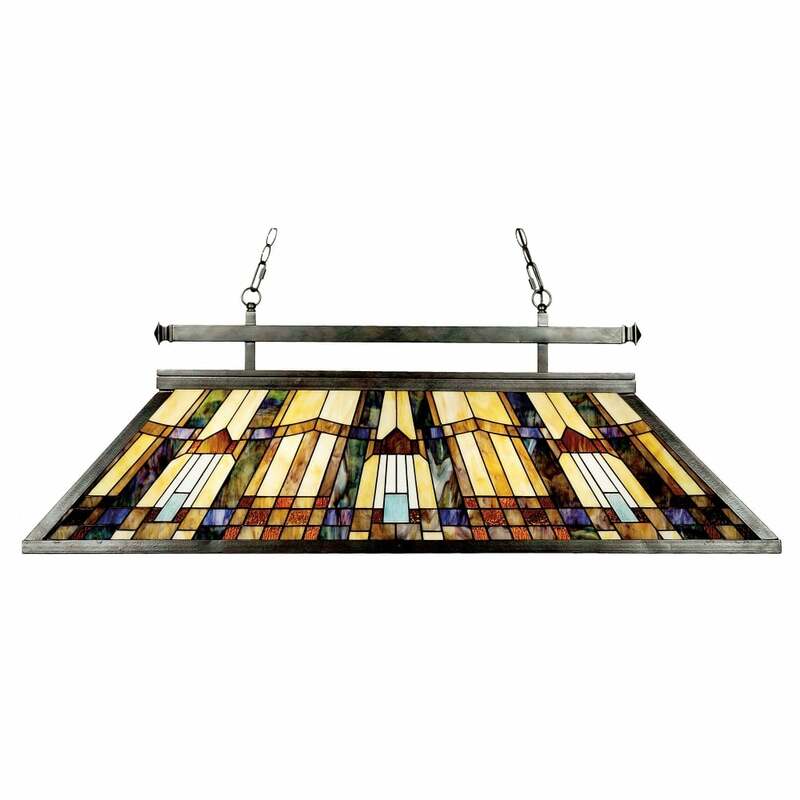 This magnificent chandelier has been specifically designed to illuminate kitchen island countertops, dining spaces, games, pool and snooker tables. The striking linear pyramid design features 496 pieces of coloured art glass exuding the spirit of Tiffany. Matching items are available – including wall lights, floor and table lamps. View All Quoizel for more information on Inglenook or view the complete Inglenook Collection.